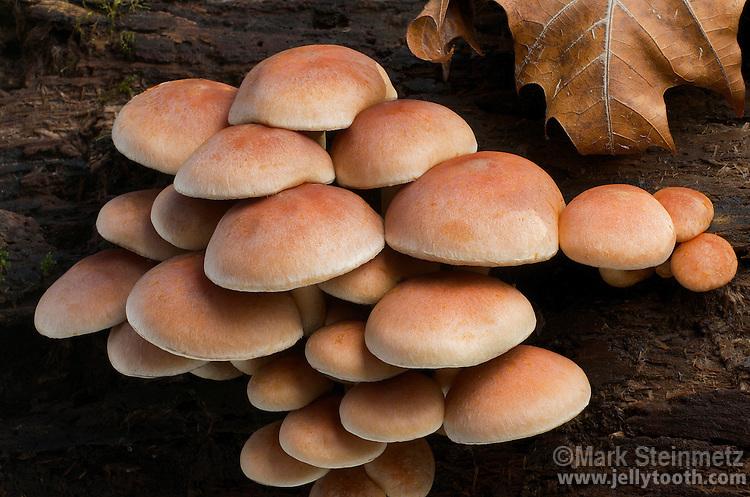 Brick Cap (Hypholoma sublateritium) mushroom cluster on a decaying hardwood log, Ohio. Late season mushroom widely distributed across North America. Edible, but sometimes reported as bitter.